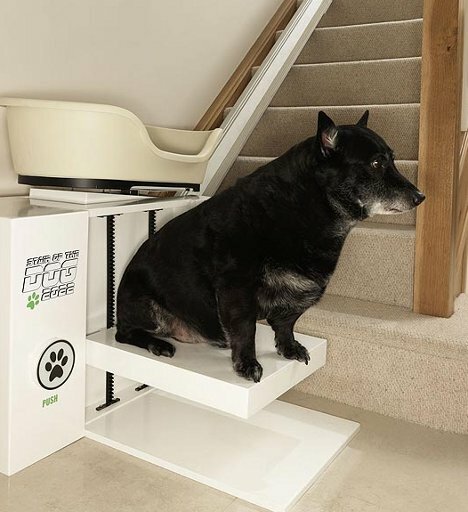 Stair lifts for elderly and disabled humans have been around for ages, but now a ridiculous concept gadget wants to offer the same help to obese and arthritic dogs. 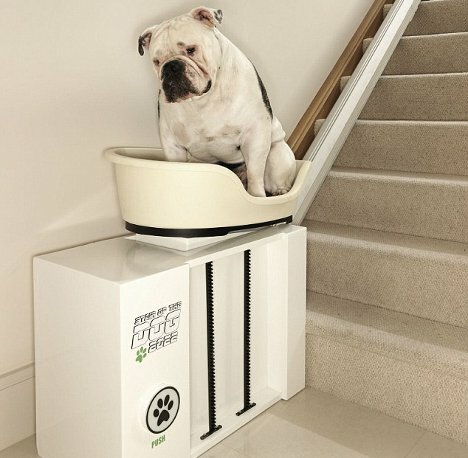 It bears the hilarious name Stair of the Dog 2022, and it works in a very similar way to the human version – but instead of a chair, it features a plastic basket to transport your pudgy pooch upstairs. The clearly-humorous prototype was built after a report for UK pet insurance company More Than revealed that one in three UK dogs is currently overweight. The study went on to claim that by the year 2022, more than half of all pet canines in the UK will be obese. 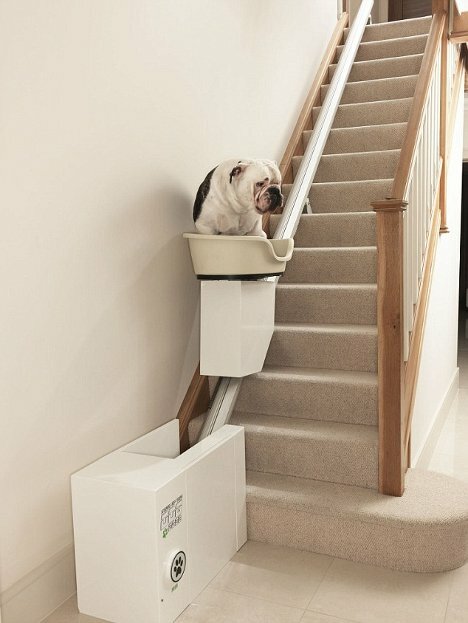 The doggie stair lift was apparently invented to illustrate what our pets’ futures could look like. The Stair of the Dog 2022 probably isn’t intended to ever be a real product (there are way too many things that can go wrong with a dog riding in an open, moving basket), but it is a graphic reminder of how harmful it can be to over-feed pets. And who knows – maybe some enterprising person will add some safety features and make the canine stair lift a real thing someday. See more in Mods & Custom or under Transportation. March, 2012.